No matter what you are manufacturing, your product must be delivered with the best possible quality and at the lowest possible cost. An MES system that natively understands the product being built, including the CAD and BOM, can eliminate errors before they occur, dramatically shortening the time from R&D to final delivery. 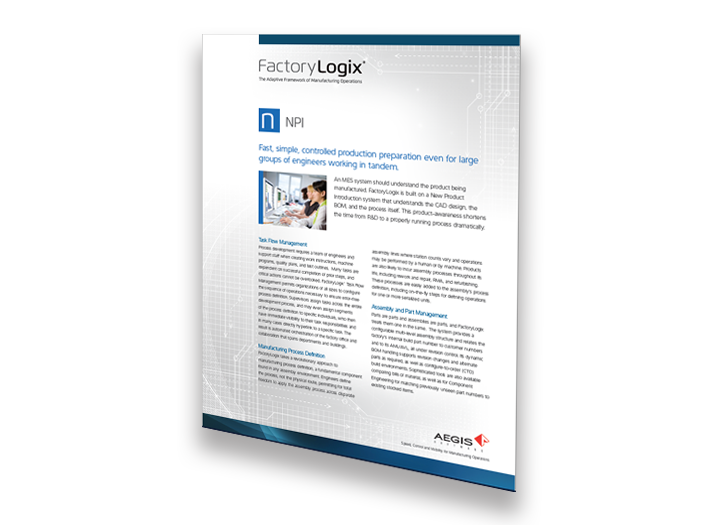 How to configure your manufacturing processes as they occur from reusable templates, including re-routes and “on-the-fly” routes created by authorized users on the factory floor. The benefits of authoring work instructions in a feature-rich environment using both ECAD and MCAD images, color-coded parts lists, and digital images and video. How FactoryLogix MES drives manufacturing speed and accuracy for new product development and launch, resulting in faster time to value.